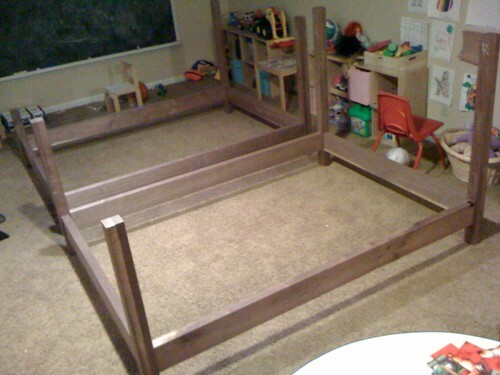 I’ve worked on other beds in the past including a Pencil Post bed I made as a wedding gift to my wife about 10 years ago. This was after working on some projects for Jeff Miller of J. Miller Handcrafted Furniture. He published a book on Beds through Taunton back in 1999 and I had the opportunity to learn quite a bit from him in the process of helping on each of the projects. I highly recommend the book for anyone considering making a bed of their own. I came across some really nice walnut from a single tree that was cut down about 35 years ago from a lumber supplier here in town, Midwest Woodworking. 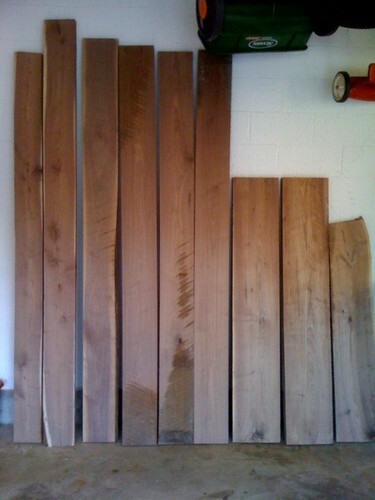 The boards were each about 16’ long, 10”-12” in width and slightly over 84 thick. It’s by far, the nicest stuff I’ve come across for walnut, with virtually no knots. I’ve been focusing on some basic milling, and getting all of the parts to size. I decided to use the 8/4 stock glued together to create the 2 3/4” posts, rather than trying to find knot-free 12/4 stock. 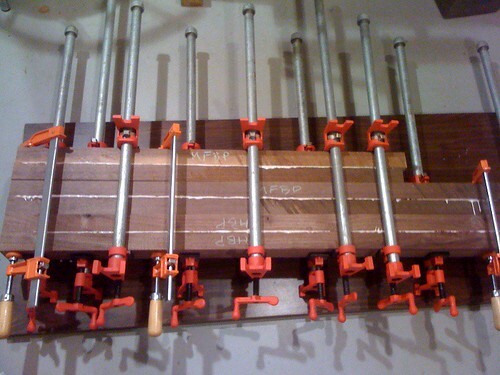 I’ve got the rail and post mortises all cut and fit, as seen in this dry-fitting run in my kids play room area. The bed with the taller posts is going to have a nicely contrasting headboard and foot board of really nice ribbon patterned Sapele with a live edge, also from a single board. It’s the same board, and mix of species I chose from one of my other recent coffee table projects here. Next I’ll be cutting the 40+ mortises and tenons for the other bed and try to get the headboard/foot boards looking like a piece of furniture.